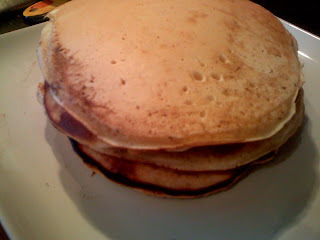 or a stack o American pancakes! Heat your pan with no oil, spoon batter onto pan to cook. When bubbles appear on the surface flip them over to cook until golden on each side. 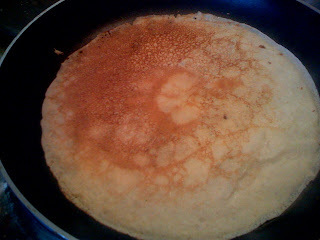 Nigella makes 15 pancakes about 8cm in diameter from this mix, but we like nice big pancakes and get 6 or 7 big ones out of it.